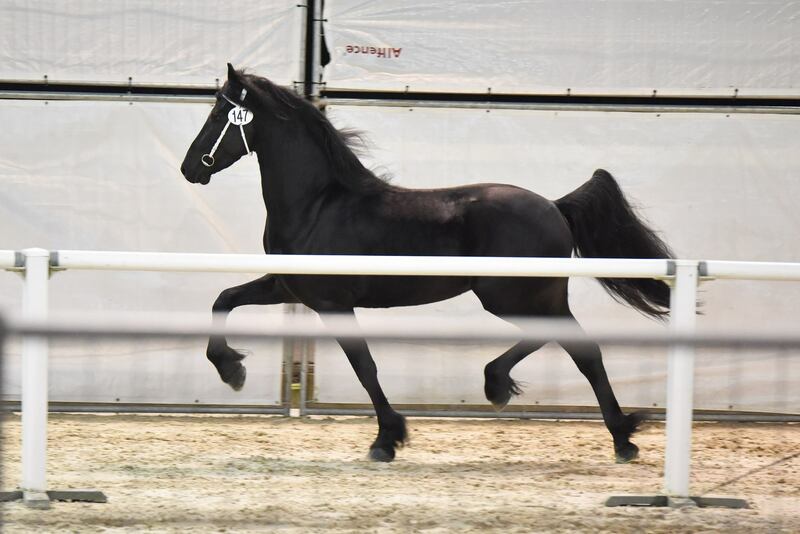 Wâlt Ynte fan Lytse Vlearen, born in 2015, is a stunning 16'1H tall Star-Stallion who managed to battle his way into the ranks of the best the KFPS has available in 3 year old stallions. 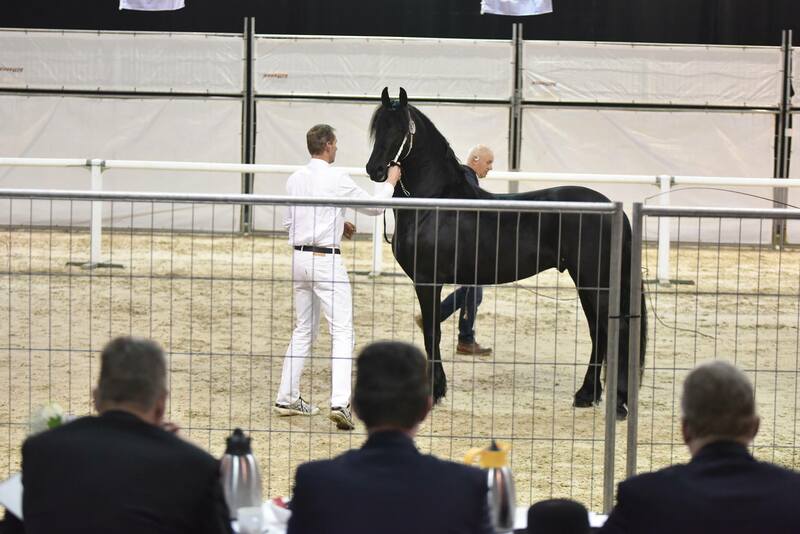 The 2018 second viewing at WTC-Expo in Leeuwarden was the end of the line for Wâlt in pursuit of a breeding license in the Netherlands. Wâlt could however obtain a breeding license abroad since he meets the requirements for a BB1 breeding permit. 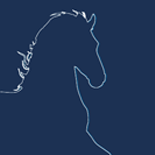 This is your chance to obtain a stallion that combines all the best bloodlines of the KFPS. Wâlt is free of the Dwarfism and Hydrocephalus gene, clean on x-rays, and has a very high motility and morphology count. 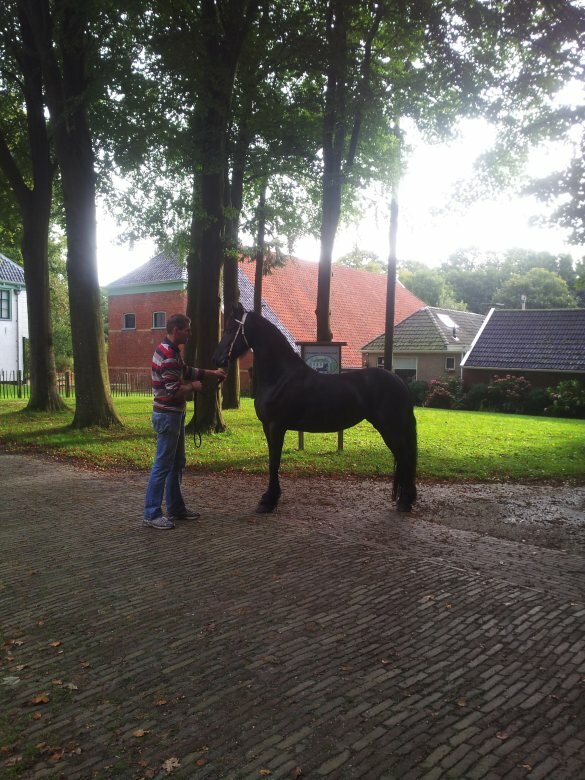 In the meantime Wâlt has been made familiar with the saddle, carriage and showdriving in which he has shown to be a talented stallion, he is intelligent hard working and easy to get along with. Picture nr3 is Wâlts dam Idsckje, as you can see and hopefully appreciate, she is a gorgeous mare with an impressive damline.